Northern maidenhair fern in summer. Northern maidenhair fern (Adiantum pedatum L.) is a deciduous, perennial fern native to Wisconsin. 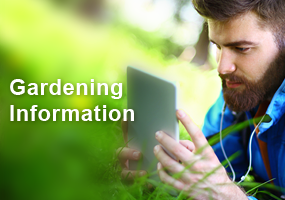 It’s native to regions of North America, temperate East Asia and Himalayas within plant hardiness zones 3 – 8. Northern maidenhair fern is a member of the Adiantaceae, a sub-family of the Pteridaceae family. Another species, southern maidenhair fern, Adiantum capilus-veneris, is native to the southern half of the US. Other species of Adiantum are used as houseplants and require moist air, warmth, and shade indoors. Adiantum’s are also excellent choices for terrariums. 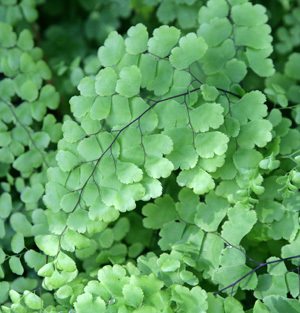 The scientific name translates to unwettable for Adiantum and footlike for pedatum. The description “unwettable” describes the fronds ability to shed rainwater and “footlike” refers to the shape of each subleaflet. Each frond has two blades with multiple curved leaflets. The fine textured fronds stand up to 2 feet high with an overall delicate appearance. The stems are black or dark purple, usually hairless and occasionally covered with whitish bloom. The frond divides into two blades each with 2 – 9 leaflets (pinnae) arranged in a shape commonly described as horse-shoe, semi-circle, or C-shaped. The closest leaflets to the main stem are the largest and become progressively shorter as they approach the tip. 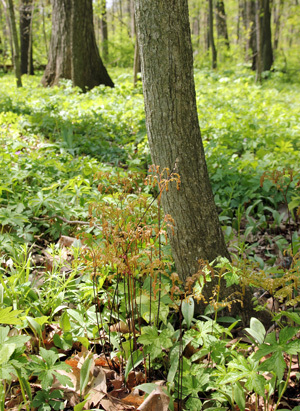 Northern maidenhair fern emerging in spring in a Wisconsin woodland. Each leaflet has a few hundred, very small subleaflets (pinnules) contributing to the dainty appearance of the plant. Each subleaflet is ½ – 3/8 inch wide and ½ to 1 inch long with lobes separated by narrow sinuses, and toothed with rounded teeth. On fertile subleaflets the upper margin is bent backward into a membranous flap (indusium) on which oblong, spore-bearing structures (sporangia) are borne in a compact cluster (sorus). Spores are produced from July to September. 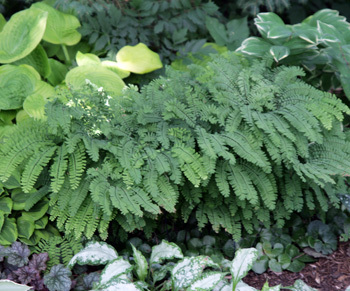 Northern maidenhair fern is a great addition to shade gardens with rich moist soils. The unique texture of Northern maidenhair fern leaves makes it an excellent addition to hosta gardens. Northern maidenhair fern prefers part to full shade and moist habitats. 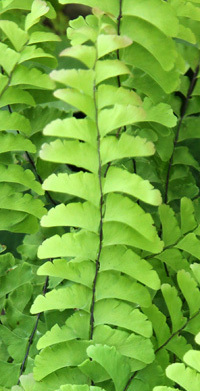 Specifically, Northern maidenhair fern prefers deciduous woods with rich well-drained soil. 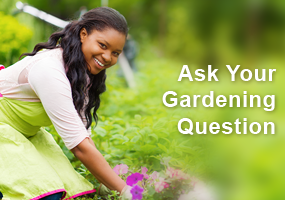 When planted in the garden, keep moist throughout the season as it doesn’t tolerate drying out. If the area Northern maidenhair fern being planted in is sandy, amend the soil with composted material or peat moss to help maintain consistent soil moisture. Northern maidenhair fern spreads through its rhizomes to form patches over time. Patience is needed with this fern because it spreads slowly. 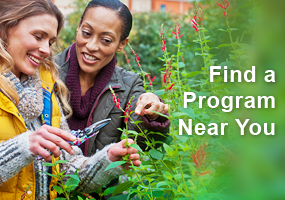 Gardeners can propagate by division in spring. It also reproduces by spores in summer and fall. The emerging fiddleheads are a reddish purple to pink. 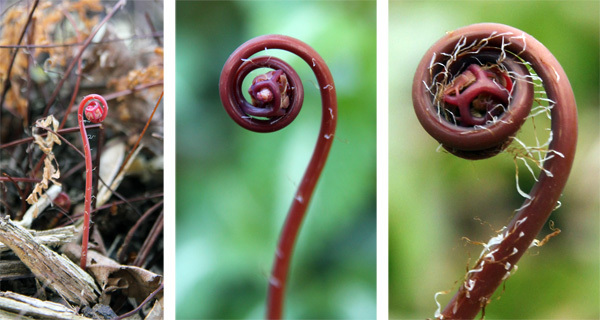 The tender, red fiddleheads of maidenhair fern emerging in spring. 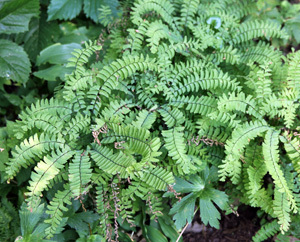 No serious insect or diseases problems are known to affect Northern maidenhair fern. Many tribes throughout North America used all parts of this fern as a medicine and in basketry. surprising that the maiden hair fern is native to North America, east Asia, and Himalayas. Zones 3 – 8. Pretty vast comfort zone.